HomeWhat is an EMS Professional? Emergency Medical Service (EMS) Professionals are trained and certified by NY State to provide prehospital emergency medical care on scene and en route to the hospital. Emergency Medical Technicians (EMTs) provide basic life support to treat a variety of patient symptoms, illnesses and injuries such as breathing difficulties, bleeding, broken bones, falls, etc. They are certified in CPR and the use of an automated external defibrillator (AED) on patients who are in cardiac arrest. 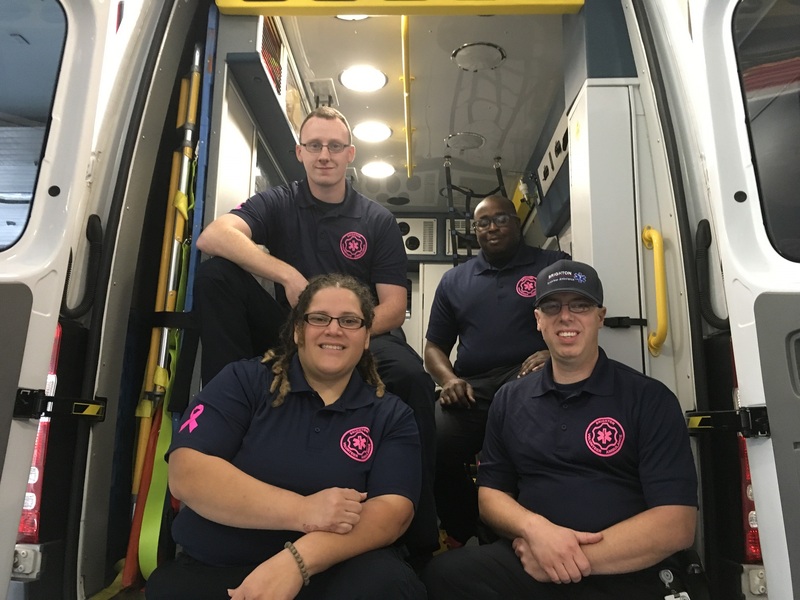 EMTs are also trained to administer epinephrine, aspirin, nitroglycerin and albuterol, which can help save a patient’s life if they experience an allergic reaction, angina, or severe asthma. Paramedics provide advanced life support to critical patients. They respond to all life-threatening (or potentially life-threatening) emergencies as well as other serious calls. Paramedics perform intubation, initiate IVs, provide medication, and administer & interpret 12-lead echocardiograms to analyze the electrical activity in their patient’s heart. These skills often save a life on scene or en route to the hospital.